Product prices and availability are accurate as of 2019-04-16 08:52:09 EDT and are subject to change. Any price and availability information displayed on http://www.amazon.com/ at the time of purchase will apply to the purchase of this product. 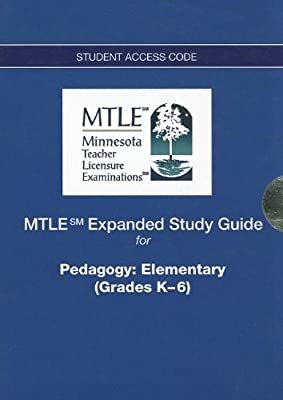 The MTLE Pedagogy: Elementary (Grades K-6) Expanded Study Guide is 100% aligned to MTLE test content. 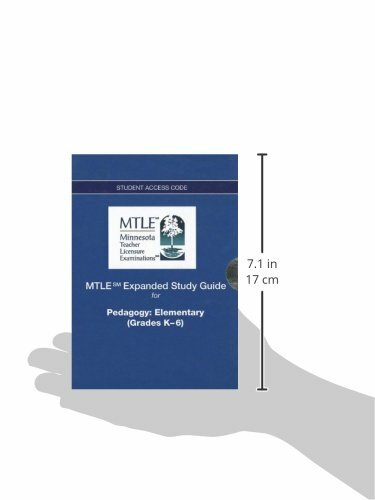 This access code card can redeemed at http://www.mtleguide.com and provides you with access to the MTLE Expanded interactive study guide that features an annotated test framework with an overview of each test section, and includes 50 authentic multiple-choice questions. A rationale for each question explains why the correct response is the best answer. A score report interpretation helps candidates better understand their test results and offers strategies for retaking subtests. A description of the test development process and a list of resources for further study are also included. Once the access code is activated, the subscription is valid for six months.